We will be phasing out the waiting list starting after enrollment for fall 2019 is complete. We will honor the waiting list applications we have already received (for falls up to fall 2022!) with priority registration above the general public, but we will not accept any new waiting list applications for future falls. The waiting list has been useful in the past, but is now so large that it no longer fits our needs. Starting with enrollment for fall 2020, all applications received during the enrollment period will be randomly numbered and placed in a lottery. Returning/alumni families will have priority for registration. Returning children and HNP staff children will be placed into classes first, followed by siblings of returning/alumni families, followed by all other applications. Placements will continue to be made in consideration of optimal learning environments, i.e. balance of age, gender, and diversity. We feel that a switch to a lottery system will make enrollment more fair and clear for all families. 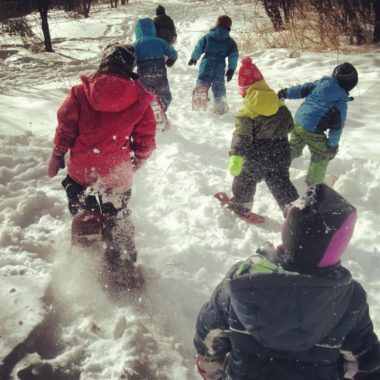 Please let the preschool director Kaitlin know if you have questions, comments, or concerns about phasing out the waiting list at psdirector@hartleynature.org or 218-724-6735. St. Louis County Childcare Assistance or call 218-726-2101 and ask to speak to the Child Care Worker of the day for assistance. Submit the following application for a limited Hartley Nature Center scholarship if your family doesn’t qualify for assistance from St. Louis County or the state or if you need additional financial assistance. Thank you to our generous donors who make the HNC scholarship fund possible. Please return all of your enrollment forms to Hartley Nature Center by August 1, 2018.